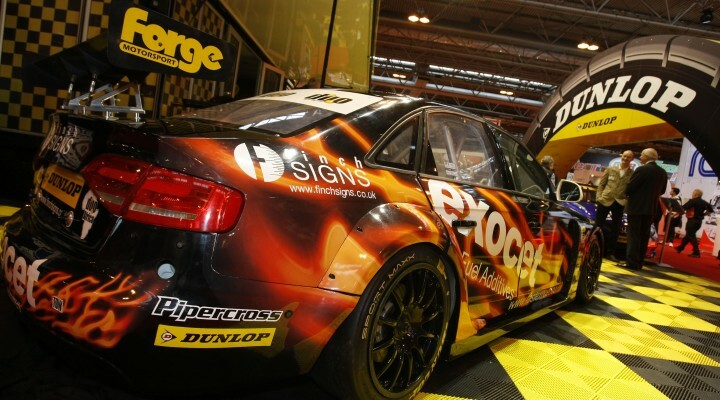 Rob Austin Racing unveiled its NGTC Audi A4 that will contest the 2014 Dunlop MSA British Touring Car Championship today at the Autosport International show. Now with title sponsorship from Fast Exocet, the team is planning to build on the good results achieved at a number of rounds in 2013, which included a breakthrough first win at Rockingham in September. Fast Exocet, which provided sponsorship for the team in 2013 enabling promising youngster Jake Hill to contest the final event of the season, will have full branding on one of the team’s two entries and will also appear on the second. Managing Director of the company Neil Ryding adds, “Following a successful first season in 2013 as subsidiary sponsors of Rob Austin Racing, we are very pleased to announce that our association will continue over at least the next two seasons. The newly liveried car will be on the Dunlop BTCC display stand at Autosport International at the Birmingham NEC all weekend, and information regarding the show can be found here.